Problem: The growing number of adapters required to mount hub less rotors and drums through 1-ton vehicles. 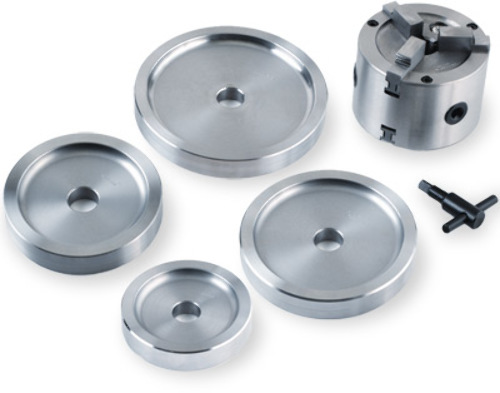 Because of the large range of center-holes sizes on rotors and drums, adapter sets must contain numerous centering cones. It takes time for a technician to select the proper cone and clamping cup combinations. Centering cone sets require a significant amount of storage space. 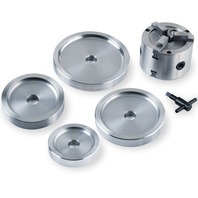 Ammco’s exclusive Double Chuck Kit has 2 sets of concentric, expanding jaws to grip the center-hole and eliminate the need for cones. 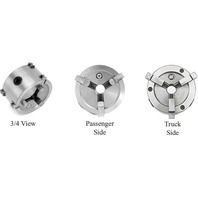 Passenger car jaws are permanently mounted on one side and truck jaws on the other side No need to change jaws out. 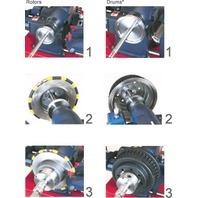 Handles virtually all hub-less drums and rotors (including composite) through 1 ton vehicles (Range: 2.125”- 5.75”). Choose from only 5 pieces to store and maintain. 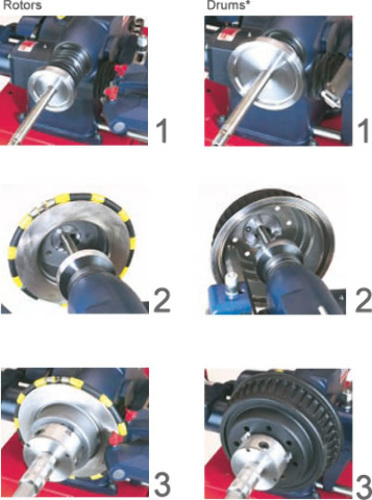 The weight and mass of the Double Chuck with Backing Plate virtually eliminates chatter and vibration from all hub-less applications, including composite drums and rotors.